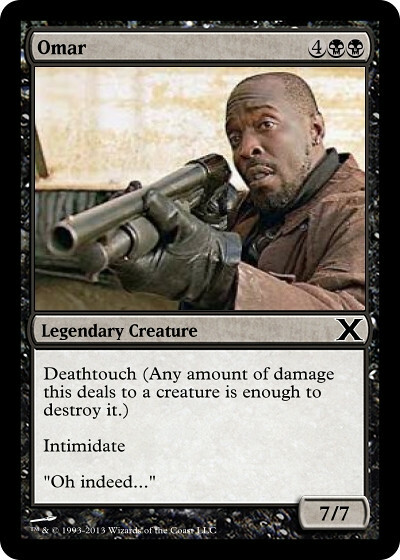 I loved the cards that were designed with characters from The Wire as inspired by the card game Majic the gathering. My sister used to play this card game so It was so neat to see the cards designed with each character mentioned. Omar is my favorite so his card is the coolest. This is too great! I love the creativity!